Woohoo- it's time to sell some stuff. Get it out of our garage so that we can make room for our floors that are supposed to be delivered later this week. Ikea bookshelf, $100. Great shape, just not the right style for our new place... it almost reaches our 8ft ceiling. Solid wood and disassembles. Also has a level system at the bottom. Available next week. Wall mounted microwave, $25. Seen here, in the old kitchen. 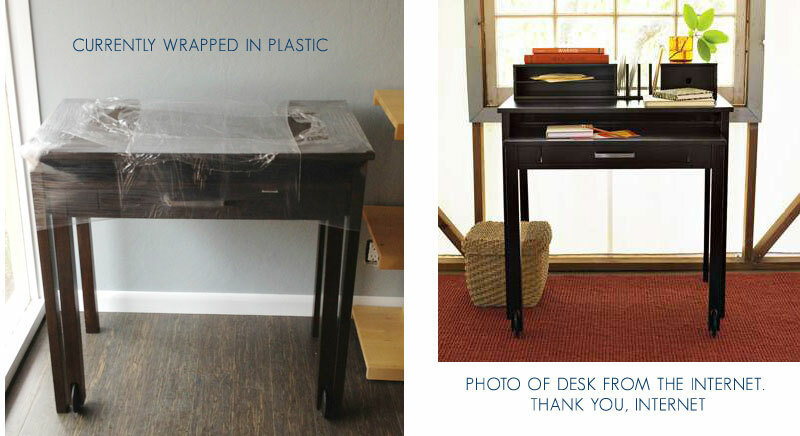 Awesome West Elm Desk, $100. Like new, only used for 1 year. 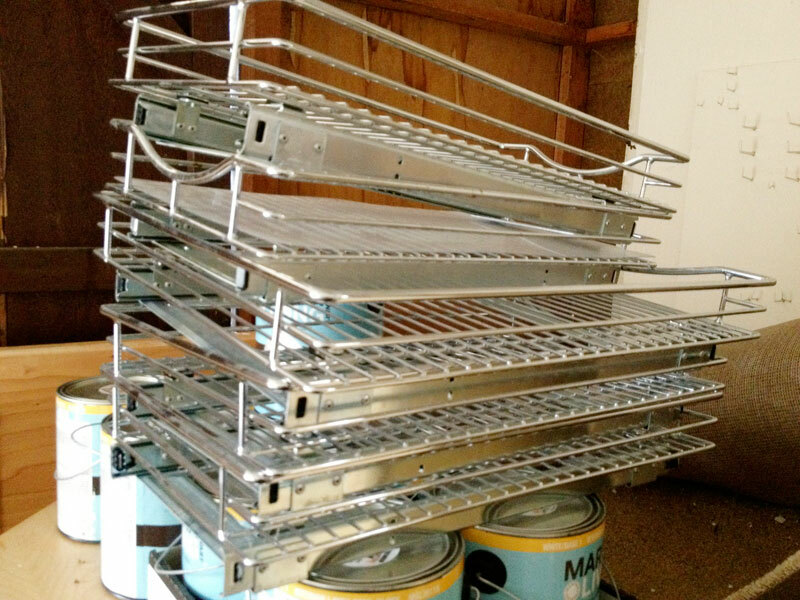 Great for small spaces because it expands! 9 Gallons Martha Stewart paint, $50for all ($250 originally). Interior Semi-gloss. My sweet husband wanted FLAT. Whoops!! Great colors! Seen here in our living room and kitchen and here in our son's room- stripes!! 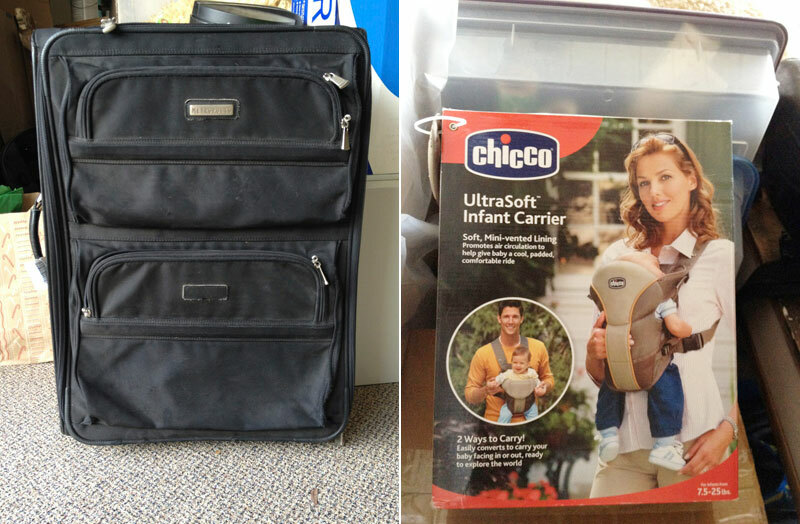 Chicco Baby Carrier, $5. New in box, never used. Poster Tubes, $5 (originally $30) . A full box of 35. They look like this... pictured next to the cute sleeping baby! 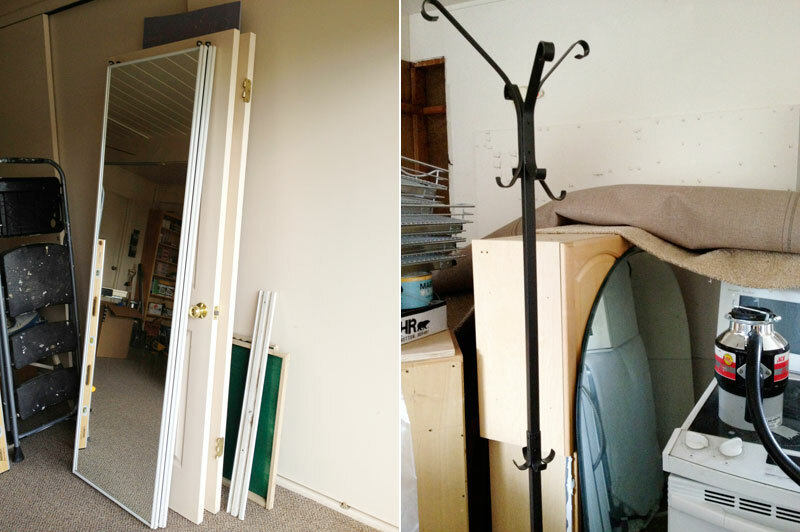 2 Sliding closet doors (mirror), free. From the remodel... working just fine! 2 interior doors, $20 for both. From the remodel... working just fine! Cabinets, $20. Upper cabinets from kitchen. seen here before the remodel.